Orient Group of Companies, the partner of Samsung and Mitsubishi brands in Pakistan, now launches Android powered Smart LED TVs in Pakistan. 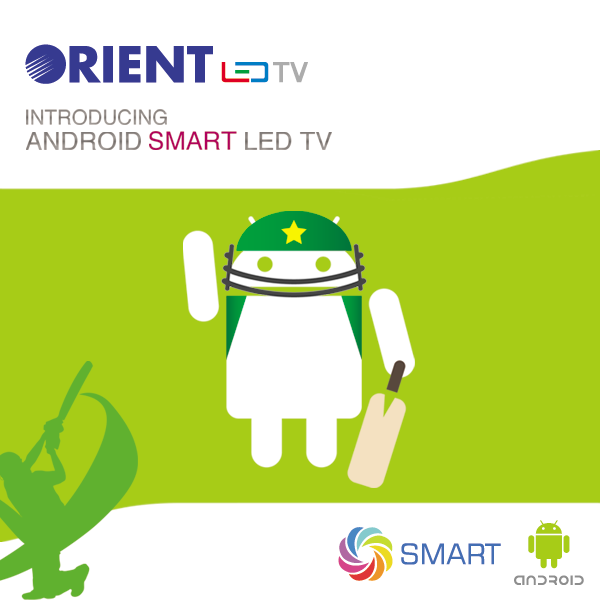 Orient initially introduces two Android powered LED TV models and these are available in two sizes. With the power of Android Operating System you can use your TV as Internet connected Smartphone / PC. You can install Android based apps on your tv and you can do much more than your Android Mobile device.